Whitby personal injury lawyer, Steven Polak, has successfully represented the seriously injured and their families for over fifteen years. He is an intelligent, practical and persuasive advocate for those who have had the misfortune of suffering serious injuries or the families of those dealing with the fatality of a loved one from an accident. Regardless of the mode or mechanism of injury – Irrespective of who or what may have caused or contributed to the accident – Steven has the experience, team and resources to fully investigate the circumstances of your injury. If there is a case to be made – Steven Polak will gather and present the convincing evidence required to position your claim in the best possible light and work towards securing the compensation you deserve. Having dedicated his entire professional career to civil litigation in personal injury and insurance law, including experience working as an insurance defence lawyer, Steven stays on top of constantly changing legislation, industry best practices and evolving common law. As an experienced Whitby personal injury lawyer, Steven Polak is directly involved with every aspect of your case and is always available to his clients. He provides clients the benefit of his dedicated legal guidance through every stage of the litigation process to obtain the best possible result. 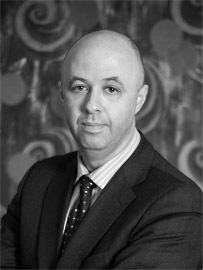 Steven provides free, no obligation, consultations to injured persons and their families. If you or a loved one has been injured in Whitby or anywhere in the Durham region, Steven would be happy to meet with you to discuss the issues of your case, how the law applies and the best way to proceed to protect your rights and obtain proper compensation.